Top of the Monday morning to you! I have been going all ohhh… ahhh…. 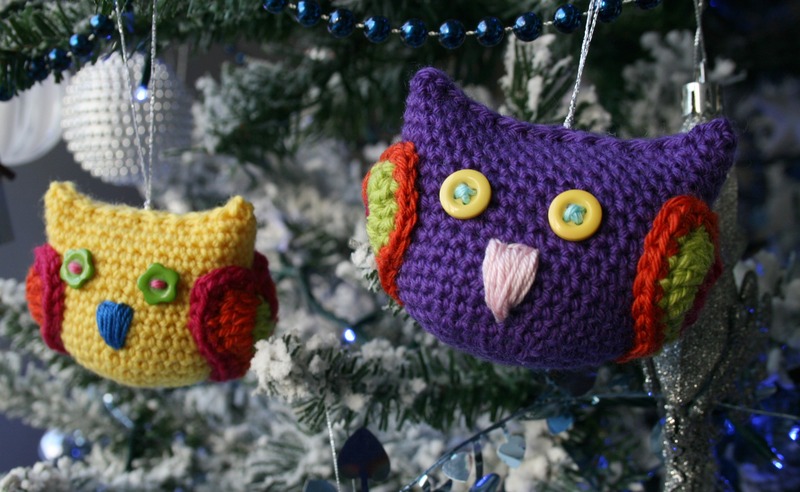 wooouuuooo… with all this beautiful crochet christmas decorations out there in the wild. So I have been thinking of my own amigurumi owl, do you remember my pumpkin mittens pattern?, Many of you asked for the pattern of the little owl that I am holding for the pictures, the truth is that I made that little owl for one of my girls but she very soon abandoned him at the bottom of her toy box!, kids eh? I felt really sad for him so I rescued him and he has been sitting on my desk, he is a sweet companion but I must admit sometimes he gets stabbed with my pins! 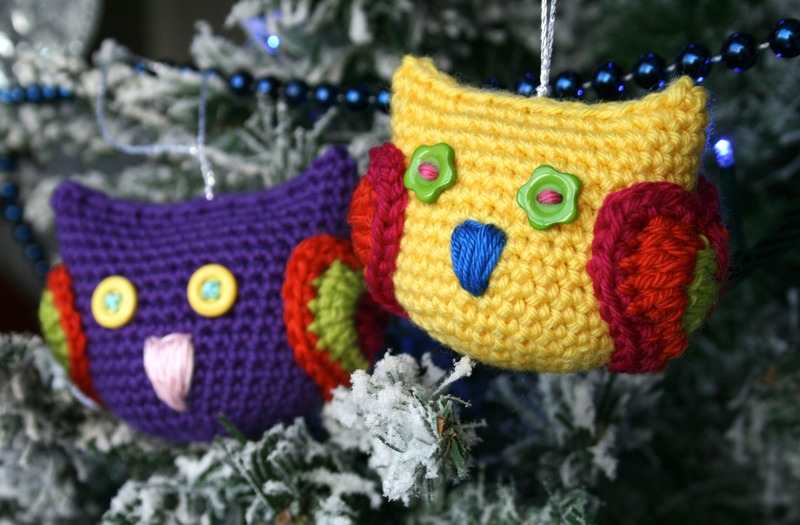 So anyway, I wanted to rescue him and write the pattern so it kind of developed into something else, it became a sweet little family of two, mummy owl and baby owl amigurumi Christmas decoration. What do you think? I always loved the heart shaped wings, I think that is the magic of this pattern! You can buy the pattern for this cute family for only $2.00 here on my ravelry shop! 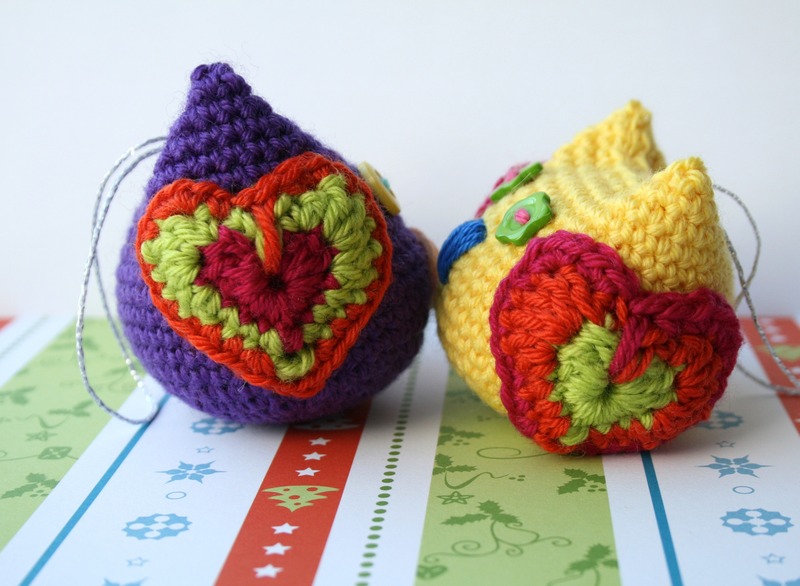 this offer expires Friday the 13th of December, Merry Crocheting! 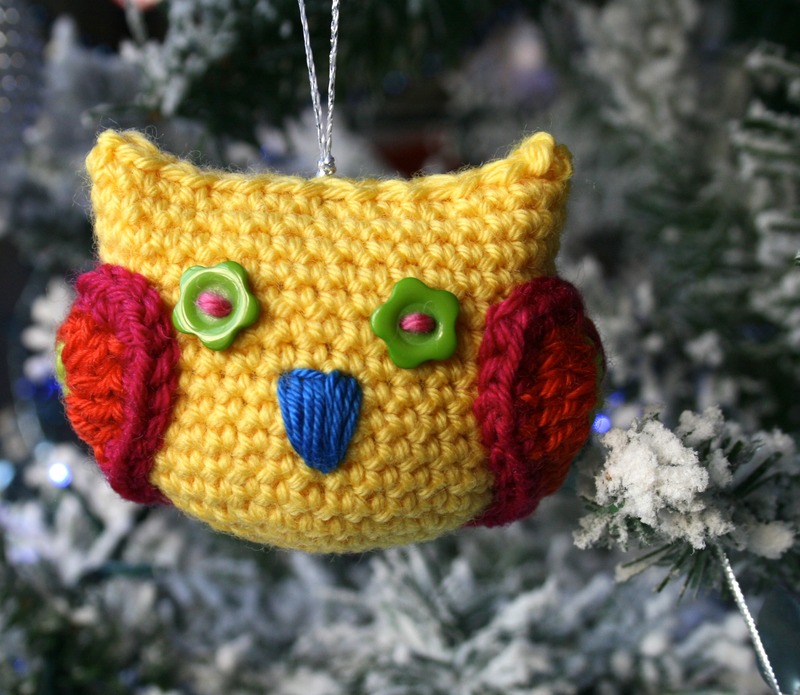 Previous article10 of the Best Crochet Christmas Trees! Next articleNew crochet pattern! Slouchy hat converts into a cowl!